Wisdom is in the middle of our end of year fundraising time and asking again this year for the assistance of our supporters. In addition to our Indiegogo fundraising campaign which is launching this week, it is also the time for our annual end of year fundraising campaign. I hope everyone is well and looking forward to a beautiful spring. Once again, we at Wisdom of the Elders would like to thank everyone who attended and/or supported Wisdom’s 25-year celebration in November 2018. We appreciate you walking through the years with us. We are grateful for the opportunity to continue growing and improving our projects and programing into the next 25 years! We would like to welcome Trish Haugen to our Wisdom staff. Trish will be the Coordinator for Wisdom Workforce Development. Trish is also our Discovering Yidong Xinag (DYX) Youth Leadership Program co-coordinator, along with Kunu Bearchum, who is our Multimedia Assistant. Together Trish and Kunu will work with Indigenous communities and schools to expand Wisdom’s multimedia projects and environmental science curriculum for our Native communities in Oregon and Washington. In addition, we would like to thank Lora Price for her many years of dedication and leadership in helping to build lasting partnerships for Wisdom Workforce Development, LLC with the many restoration and conservation organizations and individuals throughout the greater Portland Metro Area. As Lora plans for her long-awaited retirement, we wish her success, joy and much peace in her new journeys. Your presence and influence will surely be missed! Alas, we remain hopeful to meet you around the bend sometime, somewhere! We send out a big thank you to our partners, Portland Parks and Recreation, Johnson Creek Watershed Council, Columbia Slough Watershed Council, Bureau of Environmental Services, Rose CDC, Friends of Trees, Metro, West Multnomah Water and Soil Conservation District and Columbia Land Trust, to name a few, for the opportunities for our Wisdom Workforce Development crew to work alongside you in many important projects throughout the city and surrounding areas. I personally would like to thank Wisdom’s WWD LLC ace team, Alvey Seeyouma, Autumn Highdesertwolf, Bruce Amick II, and Dave Eyster for their hard work and dedication regardless of rain and cold or sun and heat, to accomplish the missions. Well done! Next, we would like to welcome back Marissa Sprang, who is our Coordinator for Wisdom Workforce Development Rural Agricultural Business Incubator (aka WABI) in Marion County, Oregon. This new adventure is Wisdom’s Micro-Business enterprise that will offer training and opportunities for families and/or individuals to grow their own Indigenous First Foods business. In order to prepare and further develop our staff, Wisdom will engage with educational institutions to develop workforce opportunities to enhance professional skills training. Wisdom’s Executive Management Team will continue to enhance and strengthen collaborative partnerships, develop our leadership outreach strategies, and increase fundraising capacity. By supporting our coordinators of the primary initiatives over the next three years, they will be ready to be promoted from Project Coordinator in year one to Program Officer by year three. Therein, we can and will be better prepared to accomplish our primary initiatives designed to help under-represented Native American youth and adults in our communities to accomplish their own educational goals and/or help connect them to employment opportunities. This will build and strengthen our Indigenous communities, assist in attaining health and wellness goals and acquire opportunities for financial prosperity while engaging in diverse environmental or other career pathways. We would like to recognize and send out a tremendous THANK YOU to our funders for helping us to accomplish our goals to build a better and more prosperous Indigenous community. We at Wisdom are very much appreciative for your continued financial support and encouragement! Prosper Portland Film Grant, Collins Foundation, Meyer Memorial Trust, OregonMade-Creative Foundation, Prosper Portland and the City of Portland Media Grant, Running Strong For American Indian Youth- Dream Starter, National Endowment of the Arts, National Endowment for Humanities, USDA, Oregon Community Foundation, Social Justice Fund, Oregon Cultural Trust, Oregon Arts Commission, NoVo Foundation, Metro, EMSWCD, Eco-Trust, and The James F. and Marion L. Miller Foundation. To the many individuals who made charitable contributions we are very grateful for your continued support to our mission to encourage, educate and provide workforce development for our Indigenous community and our community at large. We look forward to continuous growth while accomplishing our mission and sharing the vision! Discovering Our Story Television Program Airs Sunday, March 3rd, 1pm on channel 11 and re-airs March 5that 10pm on channel 22 and again on March 8that 9am on channel 23. Our two distinguished guests this month on Discovering our Story will be Woodrow F. (Woody) Morrison, Jr., and Jedd Schrock. Woodrow F. (Woody) Morrison, Jr., began his training as a History Keeper for the Haida people at the age of three (his last teacher died when Woody was 67 yrs. old). He attended and graduated from Indian boarding schools – Mt. Edgecumbe High School and Haskell Institute. He enlisted and served four years in the US Navy as an Electronics Technician. He holds a Bachelor’s degree in Economics and Sociology from University of Minnesota, Morris and a Juris Doctor Degree from University of New Mexico School of Law. 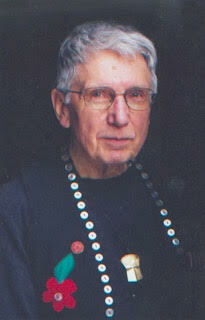 He is past President of Wisdom of the Elders, Inc and the Vancouver Society of Storytelling. From 1993 to 2010 he worked as a Cultural/Story Consultant on twenty Hollywood film productions and served as part of film crews (150+ productions). He co-hosted a cultural radio talk show for 15 years on Co-Op Radio and had his own radio show at the University of British Columbia, called “Language to Language”. He taught a Haida Language and Culture Class between 2002 to 2007 and presently is a Client Support Elder at the Child and Family Services Society, Vancouver B.C. and co-facilitates three programs: Strengthening Fathers (5 yrs. ), Strengthening Families (12 yrs.) and Circle of Boys (ages 10 to 12). Jedd Schrock is a linguist living in Portland, OR. He has been an avid language learner and teacher throughout his life. His early life was spent largely in Nigeria and Sudan where he functioned daily in languages such as Arabic and Nuer. Study of European Languages happened later in high school and at the undergraduate level (German BA). One year of college was spent at the Phillips-Universität Marburg, and one year was spent in Ilmenau, Germany as a teacher’s assistant at a German high school. He became an ESL teacher at DePaul University in Chicago, IL. He earned an M.A. in Linguistics from Northeastern Illinois University in 2002. Shortly thereafter, he moved to Portland where his interests have centered primarily on the languages of Western Oregon and Washington. He has been very active in the efforts to revitalize and maintain Chinuk Wawa in the communities at Grand Ronde, in Portland, and throughout the greater Lower Columbia. He has worked to create databases of moribund languages such as Tualatin Kalapuya, Clackamas Chinook, and Lower Chehalis. Areas of interest include Native Mythology of Western Oregon and Washington, Writing Systems, German Studies, Salish Studies, Folkloristics and Music. Wisdom of the Elders, Inc. is pleased to announce the recruitment of 6-8 Native American Adultsto participate in the Wisdom Agricultural Business Incubator!! Interns will achieve training and create a business plan over the course of a 3-month PAID internship from March 13 to May 31, 2019. Training will be provided through weekly seminars in our Portland classroom, a plant nursery south of Portland and other field visits in Marion County. Even more, interns will be provided 1:1 matching funds from a local CDFI for business start up costs! Though the internship is only 3 months, interns will receive ongoing support for at least three years from the Wisdom Agricultural Coop as they continue growing their business! For the past six months, Wisdom’s social and economic venture, Wisdom Workforce LLC has partnered with the Portland Bureau of Environmental Services to conduct valuable conservation work in local parks and other ecosystems. They have learned much from the guidance and direction that Lora Price continues to provide to our team. Lora serves as Project Director for Wisdom Workforce Development and WWD LLC. The crew worked in partnership with Damion Coe and Christa Von Behren, Ph.D., with the Watershed Revegetation Team at the Bureau of Environmental Services. Damion is Natural Resource Ecologist for the Portland BES Watershed Revegetation Program. Christa is also Program Development Coordinator at the Rae Selling Seed Bank & Plant Conservation Program which is consulting with Wisdom to pursue a potential partnership. Christa also serves as Instructor for the Department of Environmental Science & Management at Portland State University. At Westmoreland Park, the team performed monitoring and restoration maintenance of the park’s recently installed natural area. Removal of invasive and nuisance plants included Teasel, Birdsfoot Trefoil, Canadian Thistle, Purple loosestrife, English Ivy, Bindweed and Norway Maple plus other volunteer tree saplings. This has been a successful effort to keep invasive vegetation from taking hold and maintain a diversified balance of native vegetation. We are grateful that BES chooses not use herbicides or pesticides at this location where many young children and pregnant moms congregate. At Brookside Wetlands, the team performed landscape maintenance including mowing, hedging and pruning of shrubs and then broadcast and mulched native seeds in cleared areas. At Bundy Park, the team cleared Ivy and blackberry at this abandoned house site. The Crew also removed Black Locusts, an invasive tree in Vermont Park. With Christa the team has performed seed collection and seed cleaning. Seeds were collected from Rushes, Sedges and Piggyback plants at Riverview and in Forest Park. They also work at the Oregon State University Experimentation Center in Aurora planting seedling sedges and perennials from flats into the ground. Our crew is grateful for the direction they received while building their skills in seed collection and the different methods used to clean different seeds collected. Damion and Christa appreciated. Wisdom crew’s work ethic and their sharing of traditional knowledges. Wisdom’s Multimedia Team is inviting you to join us in completing a pair of hour-long television programs about the effects of the warming climate on traditional Native foods and resources in Oregon. On December 12th, we will launch a crowd funding campaign on Indiegogo to prepare the films for broadcast. Please consider supporting Wisdom’s film project. Contributions of any size are welcome. There will be lots of great perks for you to enjoy in appreciation of your gift: free downloads, DVDs, signed original art prints and tickets to the premiere. Even if you can’t contribute, you can join us in getting the word out. Change is coming. Let’s make it the right kind of change. Watch for news of the campaign! Robert Kentta, Cultural Resources Director, Confederate Tribe of Siletz Indians of Oregon, with Rose High Bear, Executive Producer of the Native Wisdom Documentary Film Series at Wisdom of the Elders. 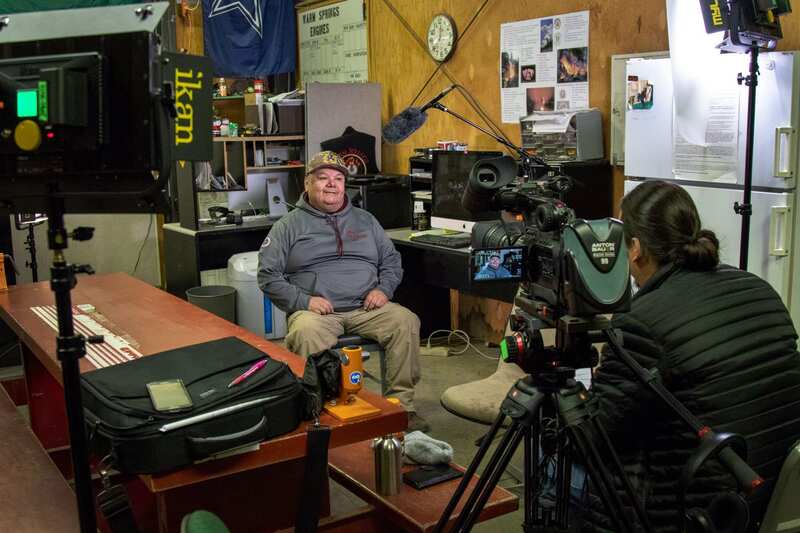 Wisdom’s multimedia team is continuing its recording work on the Native Wisdom Documentary Film Series last week with a trip to the Warm Spring Indian Reservation. 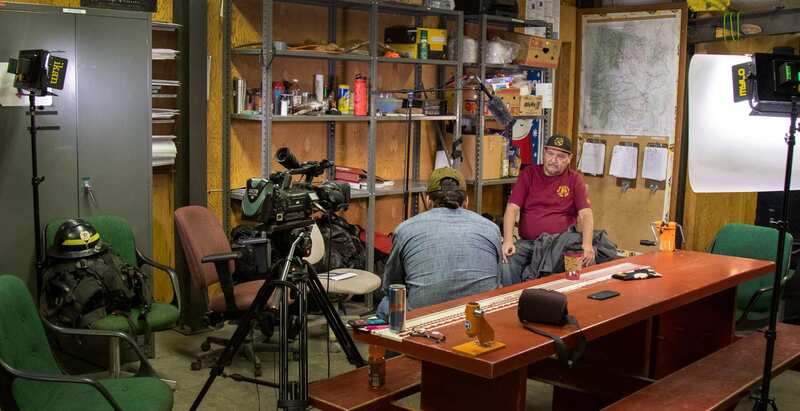 We conducted interviews with veteran Hotshots/Warm Springs Fire Management officers Luther Clements and William Wilson, who spoke about tribal and federal fire outlooks and Native fire management vs. current models. Here’s some behind the scenes photos of our trip to the Warm Springs Indian Reservation. The team is headed to conduct recordings on the Umatilla Indian Reservation later this week. Wisdom is in the middle of our end of year fundraising drive and asking for the assistance of our supporters. We appreciate the help of our friends and supporters who value our work and accept these end of year donations with much gratitude. In return we have gifts to offer. This year we have copied DVDs of our four short documentaries from the Native Wisdom Documentary Film Series and are mailing them out as gifts as a thank you to our donors. We know some of you have waited for years to receive copies and we are happy that we can now share them. There are two Alaska films and two Oregon films. The DVDs will be gifted at four different levels of giving, starting at only $25. We will send one DVD for contributions of $25 and more. We will send two DVDs for contributions of $50 or more. We will send three DVDs for contributions of $75 or more. We will send four DVDs for contributions of $100 or more. Wisdom Workforce Coordinator, Marissa Spang (Crow, Northern Cheyenne) is currently planning the new Wisdom Agricultural Business Incubator. She is recruiting the project Crew Leader as well as six Native American adults who will serve as interns at Wisdom’s Native Plant Nursery Academy. See poster and WABI Crew Leader in this newsletter. Interested applicants can apply at our website. As an eligible cultural nonprofit, most of your individual donors can participate in and claim the Cultural Tax Credit. 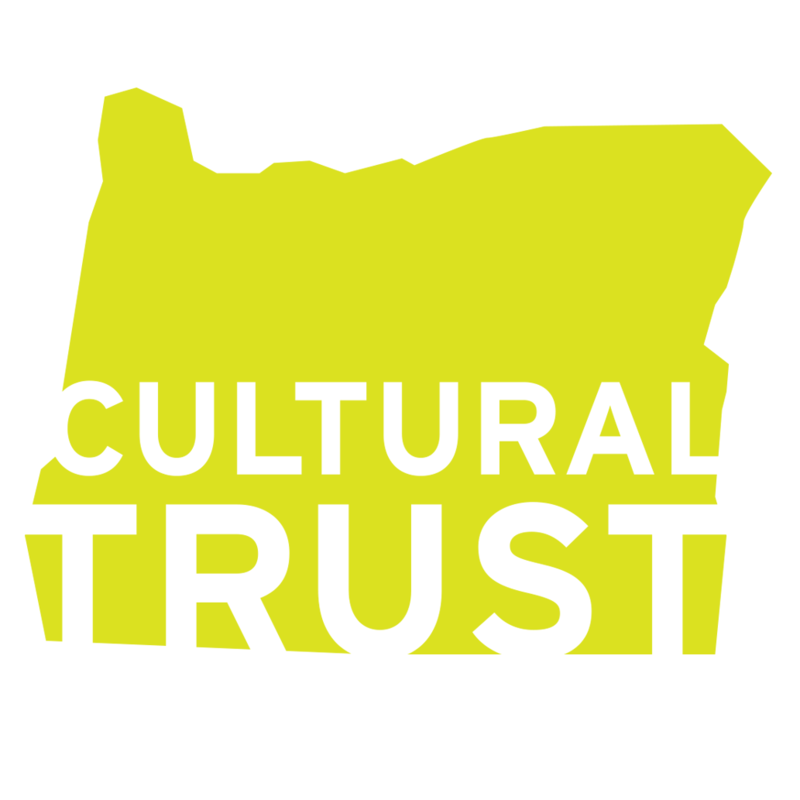 This is a special benefit unique to Oregon cultural donors; it prioritizes Oregon’s cultural organizations at the state level. Surprisingly, studies have shown that the single greatest obstacle to directing tax credit dollars to culture is lack of awareness by cultural donors! This giving season, we ask you to collaborate with us and take action to communicate the value of your work and the value proposition of participating in the Oregon Cultural Tax Credit. We have developed some ready-to-use tools like a printable flyer (right) and a digital ad (below). View and download all the tools here.